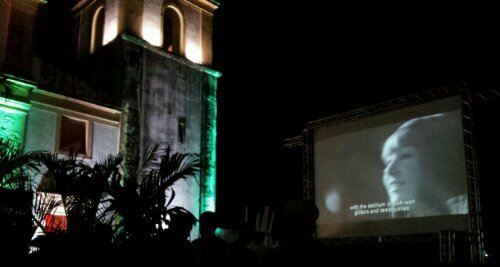 Watching Marcelo Machado’s documentary, “Tropicália”, outside the Igreja da Sé, MIMO festival, Olinda. This entry was posted in Film, Music, Photography. Bookmark the permalink.